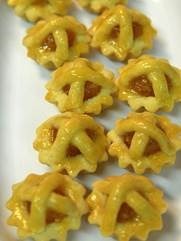 Originally comes frum the Dutch term ananastaart, means Pineapple tart, this snack will always be available on the table in Idul Fitri. Either round-shaped with cinnamon on top, or basket shaped, it will be fully filled by pineapple jam. Means Snow White (yes, the princess), it is believed that the name comes from the powdered sugar sprinkled on top the cookies. Firm crescent-shaped shortbread made from flour, cheese, margarine, and sugar, it is a nice treat, but be careful for the sugar! Named because of its long and flat shape resembling cat’s tongue, the cookies also come to Indonesia because of the Dutch influence. 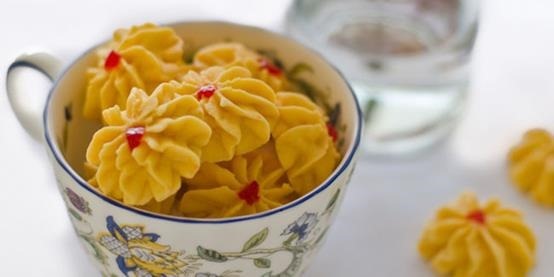 Firstly made to utilizing the egg white leftover from other cookies and cakes, the crunchy and sweet cookies can be made using decorating tube or using cat tongue’s mold. The decorating tubes also make their appearance in the making of kue semprit. 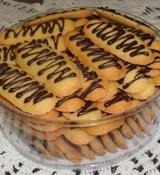 Named for the way its made, squeezing dough through decorating tube, this cookies can be made from many different recipes. 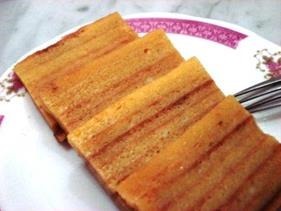 The most usual one is the recipe using sago flour, resulting in very crunchy cookies. 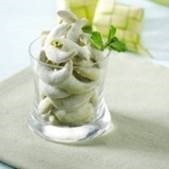 Other than cookies, the jars on the table will also be filled with peanuts or cashew nuts. The most favourite is definitely garlic-spiced peanuts, but you can also have the nuts fried with egg-batter, honey, or chili. 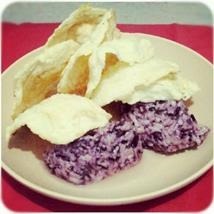 Those are the common snacks for Idul Fitri in Indonesia. Actually there are also many other variation of cookies and snack laid out for the visitors available. 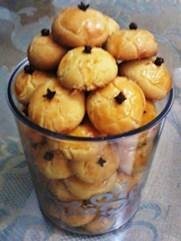 Other cookies such as egg roll peanut cookies or chocolate can also be served. Traditional snack from different area in Indonesia usually accompany all the cookies, such as tape (fermented sticky rice) with emping melinjo (gnetum gnemon crackers) in Central Java, dodol (sweet, sticky toffee), maksuba (layered cake) in South of Sumatera and others. 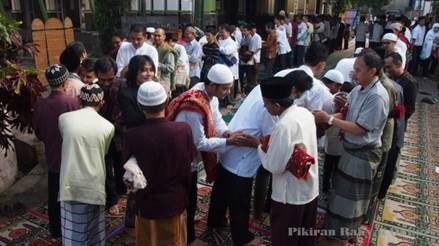 Do you want to visit your neighbours and relatives in Idul Fitri? 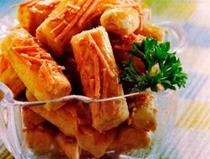 Don’t be greedy and eat all the snack provided, in the end of the day, you will have a stomachache! Sources: kaskus.co.id, Wikipedia Bahasa Indonesia, chezlorraine.wordpress.com. Posted on July 26, 2014, in Culturing and tagged aseankorea, cookies, culture, food, indonesia, ramadhan. Bookmark the permalink. Leave a comment.